In the ancient Greek text we read in John 1:1: "εν αρχη ην ο λογος και ο λογος ην προς τον θεον και θεος ην ο λογος"
The correct translation is "In the beginning was the CAUSE/REASON, and the CAUSE/REASON was TOWARDS (instead of "with") God, and the CAUSE/REASON was god"
We read carefully that: god logos was "towards God" not "logos of God". The preposition "towards" declares direction face to face, person to person in direction, which means that the god Logos is a separate person from God His Father. The meaning of LOGOS in ancient was the primary CAUSE of creation! In this case apostle John says that the Logos was god and was also Christ before the world got created by Him. The only Son of God had a position facing God His Father. He was looking to His Farther God. So Logos was not the speech or word of God, because the speech cannot be separate, looking at a person who is talking! So the correct translation is: O ΛΟΓΟΣ/LOGOS = THE CAUSE/ REASON and not the WORD/SPEECH. Logos has the meaning of the Causative Person who is The only-beggoten son of God. The authorised person who got the command to create the world and who realized the inspiration of the Almighty God His Father. Christ is the cause of the old creation and also the cause of the new generation, which is the eternal salvation of the sons of God. "...and being made perfect, he became the cause of eternal salvation to all who obey him, having been addressed by God as the archpriest, according to the order of Melchizedek" (Hebr. 5:9-10). I am only a simple discipline of The only Teacher Jesus Christ and I am serving Him as a Truth doer ,as a wayfarer who don't look to any dogmatism of the people ,and I am holding myself out of any slavery of religions and staying only on the spirit of Bible. 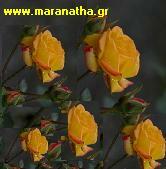 My main editing is in the http://www.maranatha.gr .This site is not belonging to any church or dogmatic order. It's a free Christian Edition in Greek language. I feel like a debtor to you, my international friends in Christ,because the Greek ancient language is very rich full and accurate more than all the languages and for this reason I believe that probably I should be some useful for the well understanding of the holy meaning. There is and onother reason...The best of all is the correct meaning of the greek and the worst of all is the dogmatic translate of this language so I 'll try to help as I can for an accurate conceptual meaning without any doctrinal manipulated mood! Greek ancient spiritual language of Bible can only be well understanding from every Spiritual new mind which is the holy teaching of risen Christ in ourselves! No one slave religionist can be free without hearing the words of The only Teacher of Truth, and there is no other Teacher except Christ of God! Beter to be Maranatha runner for ever ,instead of Marathon runner for a while! It is a legend about the ancient Athenian soldier named Pheilippides who ran the distance from Marathon to Athens to say "Joy to you, we have won" after the battle of Marathon which Athenians won the Persians. He was carrying the message of win!He had a very serious goal to share...to say about the salvation and freedom! His running was not an end in itself, it was not a workout, it was a mission! He was like an Evaggelium messenger..but only for a life with an expiry date.. The best message of the win against the death comes from Golgotha, not from Marathon.The resuraction of Christ is the greatest hopeful message ,the everlasting win of Life against the death.Like a Maranatha runner we have the greatest mission to say to all the people that: "God indeed raised the Lord and he will raise us by His power" ! As a Maranatha runner we have to share to everyone that Jesus shall come again as a King oh Heaven to all who have set their affection on his appearing !